We sit down with Smith to learn about his organization and why he’s promoting the local craft cannabis industry in Oregon. The Craft Cannabis Alliance is a values-driven industry association whose mission is to define, promote, and celebrate authentic Oregon craft cannabis. Though it has only recently launched, it already counts many of Oregon’s most important local brands among its members, and looks poised to help lead a craft cannabis movement both within the industry and among consumers. When recreational cannabis was originally legalized in Oregon, according to the Portland Mercury, there were residency requirements for obtaining a license, but in 2016 those rules were removed. 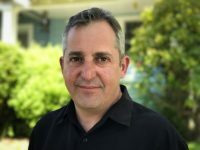 In the wake of that decision, Adam J. Smith, founder and executive director of the Craft Cannabis Alliance, saw the prospect, and, increasingly, the reality of out-of-state businesses with deep pockets buying up local cannabis businesses, expanding out of state brands into the market, or financing new brands here. It was quickly apparent to Smith that the big money threatened to overwhelm the market, push Oregon-owned companies off of shelves and eventually dominate Oregon’s much-anticipated export market. In May, drawing on his experience as an organizer and drug policy reform advocate, as well as several years working in with Oregon craft industries, he launched the Craft Cannabis Alliance. Smith has a long history of taking aim boldly at seemingly implacable interests. In 1998, Smith launched the Higher Education Act Reform Campaign (HEA Campaign), which successfully won back the right to federal financial aid for students with drug convictions. That campaign led to the founding of Students for Sensible Drug Policy, now the world’s largest student-led drug policy reform organization, active in more than 40 states and 26 countries. Since then, he has participated in a number of public policy and civic engagement campaigns and organizations, serving on the founding boards of the League of Young Voters and the Oregon Bus Project. He’s also written for dozens of publications on drug policy. The Craft Cannabis Alliance is a membership-based industry association of cannabis businesses with like-minded values, who believe that cannabis is, in fact, Oregon’s next great craft industry. And they want to make sure that means something. We sat down with Smith to learn more about his organization and why he wants to fight big cannabis. CannabisIndustryJournal: How exactly do you define craft cannabis? Adam Smith: In the beer industry, the Brewers Association defines a craft producer as one who produces fewer than 6 million barrels per year, and is not more than 25% owned by a larger brewer. And that’s fine for beer, but with cannabis just emerging from its own prohibition, there are broader concerns that we believe a craft industry needs to be responsive to. So we’re less concerned with the size of a company’s production than how it’s producing that product, and how it’s contributing to communities and a healthy industry. Here in Oregon, there’s a core of the cannabis industry that cares deeply about people, place, planet, and plant. As someone who has spent considerable time writing about and organizing around ending the drug war, it is important to me that cannabis’ first foray into the post-prohibitionist world is not only successful, but that it reflects a shared set of values. When I started talking with people in the industry who take their values seriously, I asked a lot of questions. I wanted to go from “we know it when we see it” to something that could be defined and therefore legitimately promoted. Pretty soon, it became clear that there were six major areas of agreement. Meaningful participation in the movement to end the disastrous drug war. The first three requirements, clean, sustainable, and ethical employment practices, are pretty obvious core values for craft producers, and we believe for many Oregon consumers as well. Substantial local ownership, particularly in a place like Oregon, is an essential component of what the Alliance is trying to organize and represent. We grow some of the finest cannabis in the world in Oregon, and while we’re a small market, we know that eventually, probably sooner than most people realize, the federal walls will come down and we’ll be able to export our products to other states and internationally. At that point, Oregon will be home to a multi-billion dollar industry. The question then, is who will own that? We are already seeing big out of state and international companies and investment groups buying up brands or starting their own brands here. With tens of millions of dollars behind them, they have the marketing and distribution muscle to push locally owned companies, even those producing superior product, off of shelves. And if foreign-owned companies are dominating shelf space here when those federal walls crumble, those are the companies that will own the export market, and who will ultimately own the Oregon Cannabis brand globally. And if that happens, we will never buy it back. Southern Oregon, in particular, is a region that has seen little economic growth since the waning of the timber industry. The communities there have a huge stake in how this plays out. Will the cannabis industry build wealth, and economies, and institutions here? Or will Oregon become a low-wage factory for out of state and international corporations. Beyond local ownership, community engagement is another important component of craft cannabis. The industry, which still faces PR challenges, many of them well earned, needs ambassadors who can demonstrate what a healthy cannabis industry looks like, and who will build the relationships and the credibility necessary to gain the loyal support of their neighbors, local media, and public officials. Finally, participation in the anti-drug war movement, beyond the self interest of simply opening up the next market, is a must. This industry stands atop a mountain of eighty years of ruined lives and destroyed communities. If you are in the industry, and you are not looking for ways to support drug policy reform, you are profiteering, plain and simple. The drug war is teetering on the brink of the dustbin of history, but it is not over yet. The very existence of a legalized industry is the product of decades of work by many, many individuals, most of whom will never earn a dime from the end of prohibition, and never intended to. We view a healthy legal cannabis market as an important platform for social progress on this front, and we are going to use it. CIJ: Doesn’t capitalism guarantee that the big money will win out? That striving to maintain one’s values in the face of competition that is laser-focused on profits above all else is inefficient and doomed to failure? Adam: Believe me, when your name is Adam Smith, you spend a lot of time thinking about capitalism. Let’s be clear, our members are committed to profits. We just don’t believe that nihilism is going to be a profitable strategy in Oregon cannabis, nor should it be. Our goal is to monetize our values by offering a win-win proposition to consumers, opinion makers, political leaders, and everyone else who will benefit from a visionary, responsible, and successful Oregon industry feeding into the local economy. The choice is not between capitalism and something else. It is between an extractive model of capitalism and a value-adding model of capitalism. Between an industry that seeks to bleed value from the earth, and communities, and employees, and consumers, and one that adds value to everything it touches at every level while producing the best cannabis in the world. In the end, consumers are the key. If we can be the coolest thing happening in Oregon cannabis, if we can bring consumers into this movement, we will succeed. There’s simply no reason for Oregonians to be buying cannabis grown by a Canadian bank account, even if it’s physically produced here. That is SO not cool. And what’s cool in Oregon will be what’s cool and in demand nationally and internationally as we are able to expand the reach of the legal Oregon industry. We believe that offering the world’s best cannabis, grown responsibly, by Oregonians who are actually committed to the environment, to their communities, and to social justice is a going to be a powerful marketing proposition here. More powerful than having a famous person on your label or weak attempts at greenwashing. Within the authentic Oregon craft universe will be super high-end products, as well as more value-oriented offerings, and everything in between. We’re going to make it easy for Oregonians to recognize and support the kind of industry that we’d all like to see here. CIJ: Why do you think this could be successful in Oregon? Is the industry receptive to this idea? Adam: Not only the industry, but the media, elected officials, and most importantly, we believe, consumers. Oregon sees itself, not unjustifiably, as the birthplace of the craft movement in America. Our craft beer, artisan wine, and craft distilling industries are world-class by any standard, and are very well supported locally. Include in that list our local food scene and the myriad artisans of all stripes who ply their trades in the region, and it’s pretty obvious that there will be strong support for a values-driven, locally owned cannabis industry. Craft is about people making something they love, as well as they possibly can, for themselves and their friends, and to share with others who will love it too. It’s not a coincidence that those products tend also to be of the highest quality. The key, as I’ve mentioned, is for craft cannabis is to build a partnership with consumers. Let them know who we are, and what we are trying to build, which is an authentic, and authentically Oregon craft cannabis movement. There are quite a lot of people in the Oregon industry who share this vision, including many of the best and most important brands in the state. The are people who got into cannabis for the right reasons, with a craftsperson’s dedication to quality and mindfulness on all fronts. To truly be a craftsperson is not only to make an exceptional product, but also to be cognizant of the historical and social context of your craft, with a respect for what has come before, and a commitment to setting an example for those who will follow. Those are our people, and they are well represented in the industry here. Our goal is to organize them and help insure a path to their success. CIJ: Tell us about how you are educating the industry, consumers and political leaders. Adam: Well, we launched at the end of May, from the stage at the Cultivation Classic, which highlights and honors the best cannabis in Oregon, grown sustainably and regeneratively. That was a great opportunity for us to introduce ourselves to the part of the industry that we’re targeting, and we were very grateful to Jeremy Plumb of Farma, who is also an Alliance member, and who puts on that incredible event, for that stage. Right now, we are still a manageable group, size-wise, and we are doing a lot of personal networking in the industry, seeking out the right people to join us. It’s been a lot of “who do we like and trust, who is making great product?” As a long-time organizer, I believe in starting out by putting together the strongest possible group of leaders who are also good people and fun to work with. I’d say that that’s going very well, since we have just an incredible group, who I am honored to stand beside. Over the past several weeks, as we have started to be a bit outward facing, we have had more and more folks in the industry reaching out to us, rather than the other way around. So we’re in a great spot to grow. On the political side, we really launched the project at the very end of the most recent state legislative session, and so we purposely did not engage that process this year. But over the past several months, we have been seeking out and introducing ourselves to key public officials. Their response has been extremely positive. Here we are, a group of companies who are substantially locally owned, and committed to being transparent and accountable to the health of our employees, our communities, and our state. In an industry that is still very chaotic, and not well organized, with plenty of shady players, I think that they see us as a compelling partner going forward. CIJ: Some of these standards seem pretty difficult to quantify. How do you expect to judge new member businesses? Adam: Well, in the areas of clean product, sustainable methods, and ethical employment practices, we will adopt standards being developed and promulgated by third-party certification efforts such as Resource Innovation Institute (energy, water, carbon footprint) and the Cannabis Certification Council (“organic” and fair labor standards). There are others as well, some that exist, things like Clean Green, and some that are still in development. We are beginning to meet with these folks to gauge where they are, and to give input on their standard-setting processes. In the end, hopefully within the next year as more third-party standards come online, we will choose which of those standards to adopt or accept. As for “substantial local ownership” we are already discussing the parameters of what that means. Certainly, here in Oregon, there is a need for outside capital. We are not going to fund a robust industry, especially one that is prepared to take advantage of the coming interstate and international markets, with all local funding. That said, there is a huge difference between having an out of state partner who owns a piece of a local business, and having an out of state or international corporate overlord with a 90-100% ownership stake. And the distinction is important for the future of the industry and for Oregon’s economy. The temptation is to set the bar at 50% in-state ownership. But what if you are a large cannabis brand, selling in four or five or six states, that is 35% or 40% Oregon-owned? That would likely meet the definition of “substantial.” It is a difficult line to draw, in some sense, but not impossible. As we move forward, we will develop guidelines on this, and we will have a membership committee that can look at an individual company and say “yes, you are substantially Oregon-owned” or “not you are not” as well as a process in place to insure fairness in that decision. Right now, every cannabis company in the Alliance is majority Oregon-owned, and I would expect that to continue except in very rare cases. CIJ: One of your standards for membership requires participation in the movement to end the drug war. Some might see this as a given, but could you shed some light on this? Adam: As I mentioned earlier, we see reform movement participation as a moral imperative, and since a lot of my background is in drug policy reform, it’s important to me personally. As an alliance, we hope to partner with organizations like Students for Sensible Drug Policy and NORML, and within the industry with groups like the Minority Cannabis Business Association to both advocate for broad drug policy reform, and hopefully to provide opportunities and support for communities that have been most negatively affected by Prohibition. We believe that those of us participating in the legal, regulated cannabis market have both a responsibility and an opportunity to use our voices to point out the difference between the chaos, corruption, and violence of prohibition, and the the sanity, humanity, and opportunity of a post-prohibitionist world. Excellent in depth article-great job on the principals and their details. Thank you for a well informed articles, I could not agree with Adam any more, IF the players in the industry want to have this happen ? they need to ACT like a new economy and industry, the industry is polluted.! and needs to be ‘cleaned up’. We are about sustainable, clean, organic, or it will be like big ag.